Switzerland, Zurich: ABB has developed, manufactured and energized a 1,200 kV ultra-high-voltage power transformer to support India’s plans to build a 1,200 kV transmission system, supplementing the existing 400 kV and 800 kV transmission grids. 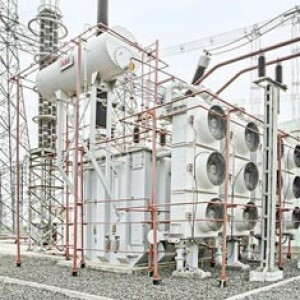 The transformer was manufactured and tested at ABB’s Vadodara facility in India. The 1,200 kV transformer is the highest alternating current voltage level in the world and is installed at the national test station at Bina, Madhya Pradesh in Central India, as part of a collaborative initiative by the country’s central transmission utility, Power Grid Corporation of India Limited (POWERGRID). Germany: TransnetBW, a transmission network operator in the German state of Baden-Württemberg, recently installed a 420 kV power transformer in one of its substations in southwest Germany that is cooled and insulated with natural ester fluid. 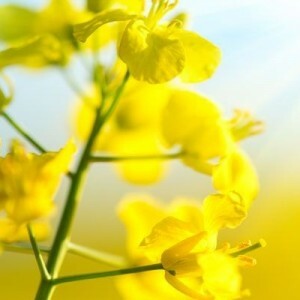 The substation transformer, which has a power rating of 300 MVA with an overload condition of up to 400 MVA, is the first in this high voltage category to be filled with a renewable, vegetable-oil-based, natural ester fluid. 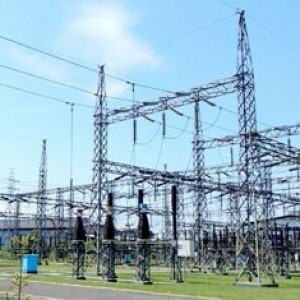 India, Tamil Nadu: GE has set up a dedicated 765 kV manufacturing line at its high voltage transmission equipment manufacturing facility at Padappai in Chennai. The dedicated 765 kV GIS line is equipped with the assembly and testing facilities including a dedicated HV test transformer of 1,000 kV for carrying power frequency withstand test as part of factory acceptance test (FAT), the manufacturer said in a press release. The first localized 765 kV GIS breakers manufactured at the facility will be exported to the end customer Chile Utility for their Nueva Cardones GIS substation at Chile. China, Beijing: Electrical High Voltage Equipment Life Management (ELM) International Conference organized by WEIDMANN, member of the Swiss Wicor Holding AG, is to be held in Beijing from 10-11 November, 2016 at the Oriental Bay International Hotel. Over the decades, the ELM conference has been successfully organized and hosted by Wicor and become a reputable international technology exchange platform for HV equipment insulating system. This year, ELM 2016, to be held from 10-11 November in Beijing, China, will for the first time be co-hosted with China Electric Power Research Institute. The conference will focus on an in-depth knowledge and broader view of insulating system design, manufacturing, application, testing, reliability and life analysis from international industrial chain perspectives, so as to improve the understanding and management capability of the high voltage equipment insulating system. A range of well-selected technical topics and latest achievements will be presented by reputable speakers worldwide during the symposium, aiming to cover and answer some of the most interesting technical issues today. The symposium and associated technical exhibition is directed at engineers, physicists, chemists, technicians and consultants involved in the manufacturing, design, operation, assessment and maintenance of various high voltage electrical equipment, as well as universities and research institutes with an interest in the reliable operation of electrical networks. English is the official language of the conference, but bilingual simultaneous interpretation will be arranged for all sessions. For more details, please see the Conference Invitation. Switzerland, Zurich: As ABB decides to keep hold of its power business, the company has also announced two new strategic partnerships for the execution of transmission and distribution projects. The company has partnered with Fluor to deliver large turnkey engineering, procurement and construction (EPC) projects for electrical substations globally, ABB said in a statement. The company will also partner with a Norwegian company Aibel to deliver offshore wind integration solutions, where Aibel will take turnkey Engineering, Procurement and Construction responsibility for offshore platforms. “Strategic partnerships like this are a core pillar of our Next Level strategy and help us to drive growth while mitigating risk,” said ABB CEO Ulrich Spiesshofer. While Swedish media recently reported on the activist shareholder Cevian wanting to break up ABB’s Power Grids business and sell it in parts to strategic buyers, in today’s update of strategic review ABB leadership has revealed it will continue the transformation of Power Grids under ABB ownership. 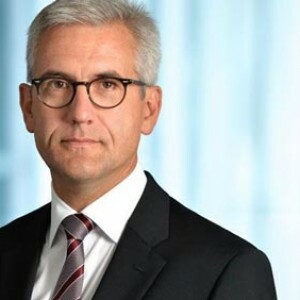 Following a comprehensive strategic portfolio review, the Board and Executive Committee of ABB have concluded that the transformation of Power Grids under ABB ownership will unlock maximum shareholder value compared to other ownership options such as sale, IPO, spin-off or joint venture, the company said in a press release. To realize the full potential of the division and continue the ongoing transformation, the company introduced today the new “Power Up” initiative, a massive program covering key aspects of the business, which is expected to drive growth and enhance earnings accretion by focusing on core operational strengths and high growth segments as well as digitally enabled services and software. “In our strategic portfolio review we have listened carefully to all stakeholders and all expressed views. After a very thorough and detailed process, supported by leading advisors, we have concluded that the continued transformation of Power Grids under ABB’s ownership creates the highest value for our shareholders and customers,” ABB CEO Ulrich Spiesshofer said. The report “Cable and Accessories Market by Overhead (Conductors, Fittings & Fixtures), Underground (PVC Cables, XLPE Cables, Cable Terminations, & Joints), Submarine (XLPE Cables, MI Cables, Cable Terminations & Joints) and End-User – Global Forecast to 2021”, Factors such as increase in renewable energy generation, rapid industrialization & urbanization, and government initiatives undertaken to expand transmission & distribution systems would drive the LV & MV cable and accessories market. The global Cable and Accessories Market is projected to grow from an estimated USD 147.53 billion in 2016 to USD 202.07 Billion by 2021, registering a CAGR of 6.5%. The report “Industrial Plugs & Sockets Market by Protection (Dustproof & Splash-Proof, Water-Proof, and Explosion-Proof), Type (Plugs and Sockets), End-User (Oil & Gas, Power Generation, Chemical & Pharmaceutical, and Heavy Industry) – Global Forecast to 2021”, The global market is set to witness significant growth, due to the increasing construction and development activities in Asia, the growth of the manufacturing sector in South Asian countries, and the revival of the manufacturing sector in North America. The report “Electric Motor Sales Market by Type (AC and DC), Voltage (< 1 kV, 1 kV–6.6 kV, and > 6.6 kV), Output Power (< 1 hp and > 1 hp), End-User (Industrial, Commercial, Residential, Transportation, and Agriculture), and Region – Global Forecast to 2021”, Increased use of motors across major industries, growing agricultural sector, and transition toward energy-efficient motors are the major factors driving the electric motor sales market across the globe. The report “Lighting as a Service Market by End-User (Commercial, Municipal, and Industrial), Installation (Indoor, and Outdoor), Component (Luminaires, Software & Communication Systems, and Maintenance Services), and Region – Global Forecast to 2021”, The lighting as a service market is expected to grow from an estimated USD 95.3 Million in 2016 to USD 638.68 Million by 2021, registering a CAGR of 46.3% from 2016 to 2021. 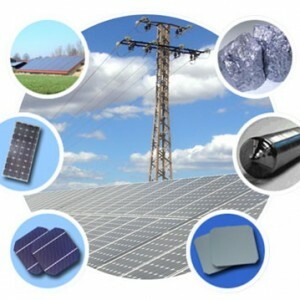 Global Solar Energy Products Industry Report 2016 is a professional and in-depth research report on the world’s major regional market conditions of the Solar Energy Products industry, focusing on the main regions (North America, Europe and Asia) and the main countries (United States, Germany, Japan and China). The report firstly introduced the Solar Energy Products basics: definitions, classifications, applications and industry chain overview; industry policies and plans; product specifications; manufacturing processes; cost structures and so on. Then it analyzed the world’s main region market conditions, including the product price, profit, capacity, production, capacity utilization, supply, demand and industry growth rate etc. In the end, the report introduced new project SWOT analysis, investment feasibility analysis, and investment return analysis. The report includes six parts, dealing with: 1.) basic information; 2.) the Asia Solar Energy Products industry; 3.) the North American Solar Energy Products industry; 4.) the European Solar Energy Products industry; 5.) market entry and investment feasibility; and 6.) the report conclusion. 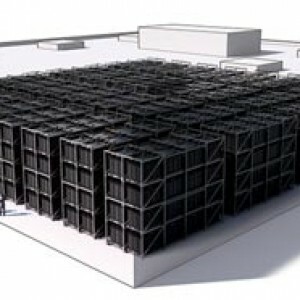 The Europe Grid Scale Energy Storage Systems Industry 2016 Market Research Report is a professional and in-depth study on the current state of the Swine Vaccine industry. The survey report studies Grid Scale Energy Storage Systems in Europe market, especially in North America, Europe, China, Japan, Southeast Asia and India, with production, revenue, consumption, import and export in these regions, from 2011 to 2015, and forecast to 2021. The Europe Offshore Oil and Gas 2016 Market Research Report is a professional and in-depth study on the current state of the Offshore Oil and Gas market. The report provides a basic overview of the Offshore Oil and Gas industry including definitions, classifications, applications and industry chain structure. And development policies and plans are discussed as well as manufacturing processes and cost structures. The report states the Europe Offshore Oil and Gas market size (volume and value), and the segment markets by regions, types, applications and companies are also discussed. The Offshore Oil and Gas market analysis is provided for major regions including USA, Europe, China and Japan, and other regions can be added. For each region, market size and end users are analyzed as well as segment markets by types, applications and companies. 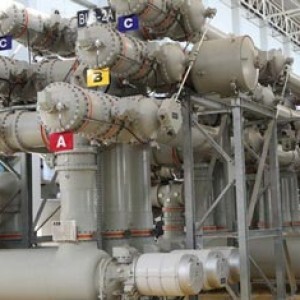 The Global Oil & Gas Subsea Umbilicals Market 2016 Industry Trends, Sales, Supply, Demand, Analysis & Forecast to 2021 is a professional and in-depth study on the current state of the Oil & Gas Subsea Umbilicals industry. The analysis report provides a basic overview of the industry including definitions, classifications, applications and industry chain structure. The Oil & Gas Subsea Umbilicals market analysis is provided for the international market including development history, competitive landscape analysis, and major regions’ development status. The analysis report focuses on global major leading industry players with information such as company profiles, product picture and specification, capacity, production, price, cost, revenue and contact information. Upstream raw materials, equipment and downstream consumers analysis is also carried out. What’s more, the Oil & Gas Subsea Umbilicals industry development trends and marketing channels are analyzed. اگه ممکنه ترجمه شود . حتما دوست عزیز در اسرع وقت.